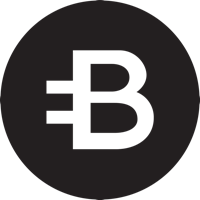 Bytecoin (BCN) was created to provide private, untraceable payments that would protect individual privacy and minimize risks for businesses. Transactions are not just untraceable, but they are unlinkable too. Bytecoin is the first cryptocurrency based on the CryptoNight algorithm. Visit our full bytecoin mining calculator. We don't have any wallets listed for Bytecoin yet, check back soon! We don't have any debit cards listed for Bytecoin (BCN) yet, check back soon!